This is a beautiful essay, the only problem is that it gives the illusion that the author is Sahmeh Habeeb. This essay was written by a very good friend of mine whose name appears in small print at the bottom stating “poem by Mike Odetalla” “story by Sahmeh Habeeb”. 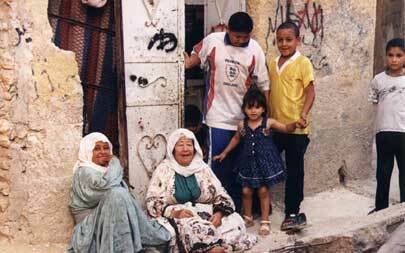 Mike Odetalla wrote this under the title “Being Palestinian” back in 2003. This is his website and I leave the link to that essay. Could you be so kind as to give the proper credit where it’s due. I notice on the side it also listed as Sameh Habeeb. It should read Mike Odetalla. I will fix that immediately. Mike Odetalla wrote this moving poem which has appeared on Dissident Voice and Thomas Paine’s Corner. It was accompanied by a photo of a beautiful almond tree in blossom.